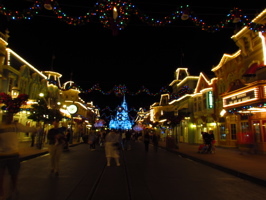 We spent yesterday at Discovery Cove with a Platinum Passholder special of just $59, then headed straight over to the Magic Kingdom to see “Cinderella’s Holiday Wish” which ends with the Christmas Castle Lighting – the first of the year (below, left). 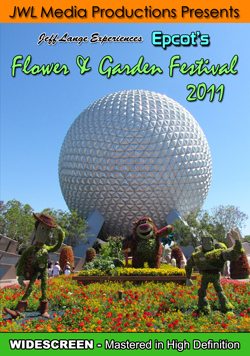 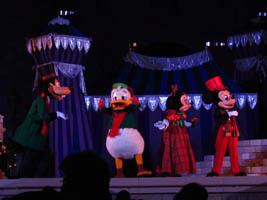 Goofy, Donald, Minnie and Mickey join the fun as Cinderella decides her wish (below, right). 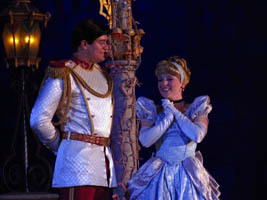 Prince Charming stands by Cinderella (below, left) as she asks the Fairy Godmother (below, right) if her wish can be granted. 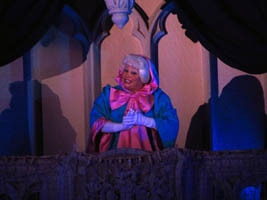 The Fairy Godmother seems unsure at first, but soon Cinderella Castle is bathed in sparkling lights! 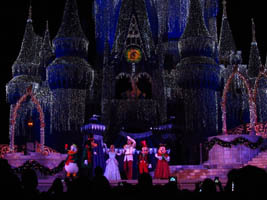 The show soon ends as Cinderella Castle twinkles (below, left), and everyone onstage waves goodbye (below, right). 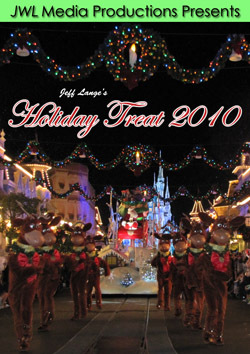 We had heard that “The Magic, The Memories and You” was going to include the Christmas segment yesterday, but that didn’t happen and is expected to begin November 8th. 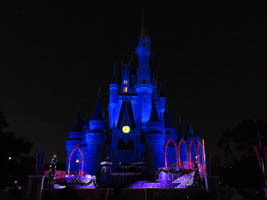 Video – Magic Kingdom First Castle Lighting “Cinderella’s Holiday Wish” 11/4/11 Dream Lights – The Magic Kingdom had it’s first Castle Lighting of the year tonight with Cinderella’s Holiday Wish! 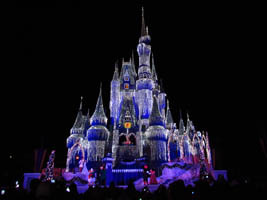 Cinderella Castle wasn’t lit for much of the next ninety minutes, as two showings of “The Magic, the Memories and You” and the fireworks spectular “Wishes” kept the castle lights off. 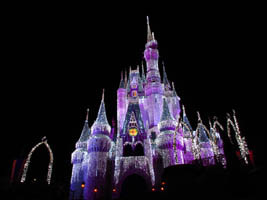 After the park closed, we took some photos of Cinderella Castle (below left and right). 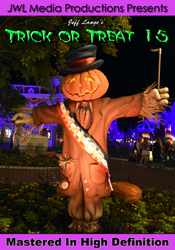 We plan to have many more next week! 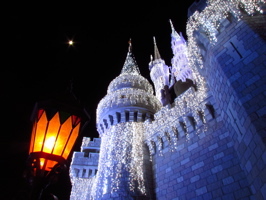 After a warm day, it was a chilly night – making the Cinderella Castle lighting seem even more festive (below, left). 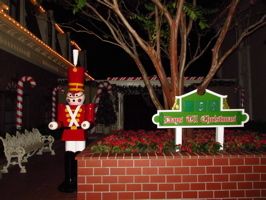 The toy soldiers are now in Candy Cane Garden, letting guests know that there are 50 days (as of yesterday) left until Christmas! 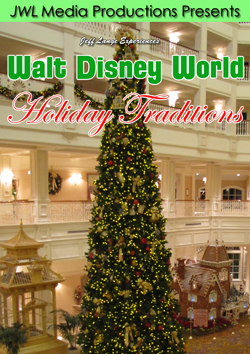 Get Ready For The Christmas – The Splendor of the Holidays at the Walt Disney World Resorts! 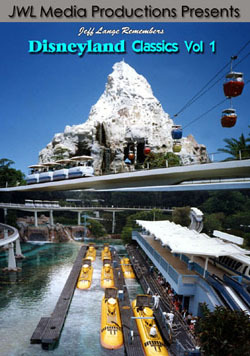 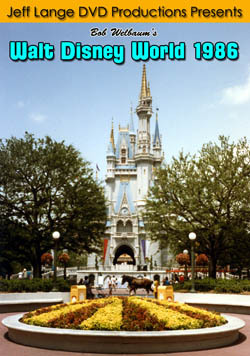 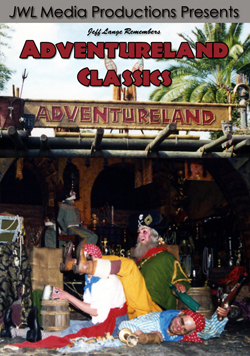 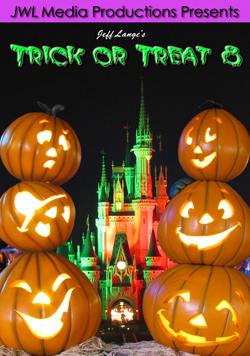 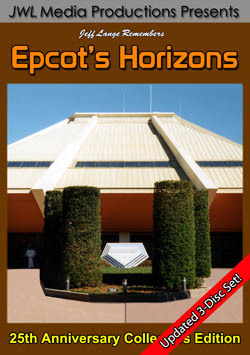 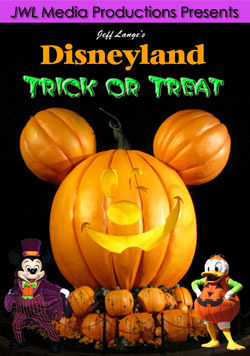 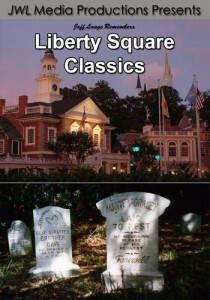 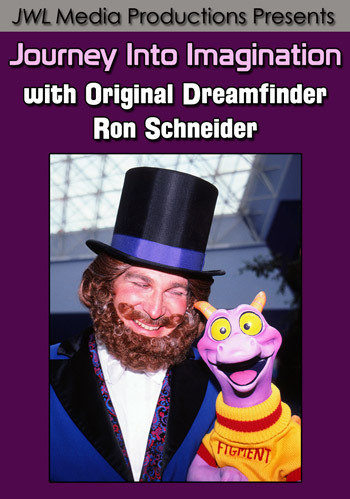 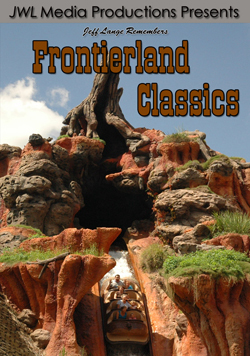 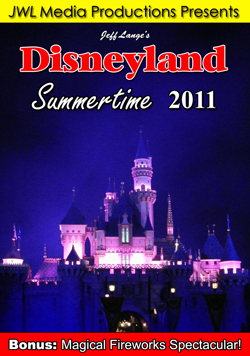 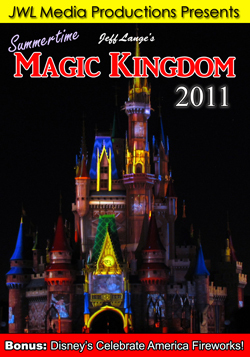 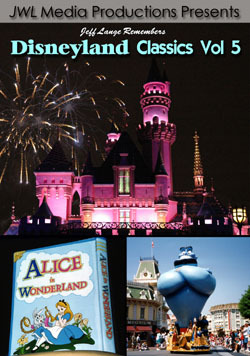 Remember the Halloween Fun (Mickey’s Not So Scary Halloween Party’s 2003 – 2010 Available) 2011 Edition Available Now!